1. What is Artlife all about? Artlife company is one of Russian leaders producing Dietary supplements,cosmetics,enriched food products. 2 .How can I become a member of Artlife online ? Joining Artlife is very easy.Send us a mail at contact@artlifedelhi.com for Artlife Membership Form or register yourself at http://www.artlifedelhi.com/registration-online.html . 3. Is there any fees for Membership Form /Distributor Form of Artlife? Yes,You have to deposit Rs.350/- only . 4.Is there any age limit? Yes, Your age should be 18 years and above. 5.What are the benefits of membership? 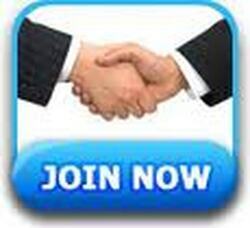 You will get discount on all the products and power to sponsor others. 6.Can I get discount on Artlife Products without registering for business? . Yes, you can get discount by filling the Client Privilege form. 7.When should I fill Client Privilege form? If you donot want to do business with Artlife and are only interested in buying products at discount, you should fill client privilege form. 8.Can I fill Privilege Form Online? Yes, you can fill Privilege Form Online .Click here to download the Client Privilege form or fill online Client Privilege form. 9.Where to submit Filled Client Privilege Form ? 10.Can I sponsor others with Client Privilege Form? No, You can't sponsor anyone. 11.Will I get commission on purchasing through client card id no.? No ,You are not eligible to get any commission or bonus. 12.Is there any difference between Privilege Client and Distributor? Yes, both are different. If you fill the client privilege form you'll become our privilege client and will be eligible to avail discounts on all products. If you become a distributor, not only will you get discount but also bonus and the power to sponsor others. In other words, you become our business partner by becoming distributor. 13.What do I do next after registration and becoming a Distributor? Once you register with us, we will send you a complimentary business starter kit. This kit will help you on our business plan and also how you can start earning. 14. How do I start receiving commission? As soon as Sales start happening in your down line and you meet your qualification criteria you start receiving your commission. 15. How do I become qualified or what is the qualification criteria to receive commission? you become qualified for three month's again. 16. Is there any mandatory product purchase requirement? Accounting unit (a.u.) of the volume of distribution measuring. The nomenclature of the products is assessed by the number of points indicated in the price-list. If you purchase the products the corresponding points are calculated at your computer number. 18.How many ways to Join Artlife as a distributor? A:1.Do 50 PV and join as a consultant. 2.Do direct 400PV in 1st month or in 2nd month of joining .You achive Manager Rank directly(=Administrator) (benefit :no need to do 50 PV per month till you become Director). Note: IF any non- director complete 2000 Group volume in any three consecutive months then he will become a Director in 4th month. Q 9: If Manager has not done his 50 pv & his down line do 100 pv .will manager get benifit of 100 pv or not? A : If he started business with 400 (leader start) pv than he will get benefit from 100 pv but if he has not started business with 400 pv than he will get benefit only in that condition when he will make 50 pv. Q10.How To Order Artlife product ? 1.Please send us your required Products name with quantity & your address at contact@artlifedelhi.com or order@artlifedelhi.com or on phn-09868122598. 3. You can pay by cash or Cheque deposit in our bank A/c / Creditcard / Debitcard / Netbanking payment link or by Paypal A/c. 4.After receiving the amount in the bank we will courier your products at your given address. 5. The courier will take 5-6 working days to reach the destination. (For India) and 10-20 days to reach outside india. Type your email id here.